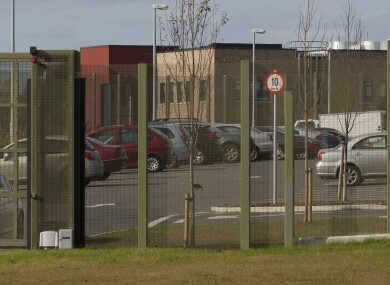 THE ALLEGED confinement of inmates by the authorities at Oberstown Youth Detention Centre stems from what can only be described as a riot and an attempt to escape resulting in a fire, the High Court heard today. Patrick McGrath, SC, who appeared with barrister Eoin Lawlor for two children who allege they were locked up alone for up to 24 hours a day, said they had remained in solitary confinement “by any international description” of that term. “Whether it is called behaviour management or separation, being locked in a room at 17 years of age for 24 hours a day is under any definition solitary confinement,” McGrath said. Corrigan said that while he was not going to respond to emotive language used in court, the centre required further time to deal with the allegations of all applicants and asked for an adjournment. The matter has been put back to next week while a judge is found for a hearing that may last several days. Corrigan told the court there were clear factual disputes as to what did and did not happen at Oberstown on the night of 29/30 August when a number of boys gained access to the roof and a fire caused considerable damage rendering one unit absolutely useless and two others out of action during repairs. He said the Minister had directed that an international review be carried out by two experts from England in respect of the operation of Oberstown and best practice and to make recommendations to her. He said that while the review had not been ordered into the events of 29/30 August, or to the current litigation, it may touch upon matters on which the applicants make their complaints. There was no free movement in Oberstown. All rooms were locked and secure and none of the minors were currently on a separation policy regime. Corrigan told the court things had moved on since last week. There was a system of privileges, if one was engaging with staff, but these could be removed for a short period if a minor was not engaging with staff. He said that what was before the court was a root and branch attack on the system of care that applied in Oberstown and time was required to answer all allegations. Email “Teenage boy held in 'lock-up for 24 hours without even a shirt on his back'”. Feedback on “Teenage boy held in 'lock-up for 24 hours without even a shirt on his back'”.